It’s the beginning of the school year, and I have so many hopes and desires for my children’s year. I want it to be a year of learning, yes, but I also want so much more. I want this to be a year in which my children grow spiritually, not just physically and educationally. I want my children to know God better and trust Him more this year. I’ve written out this Scripture-based prayer, and I will be praying it for each of my kids. Please do the same! There is nothing that can prepare our children better than us bathing them in prayer! 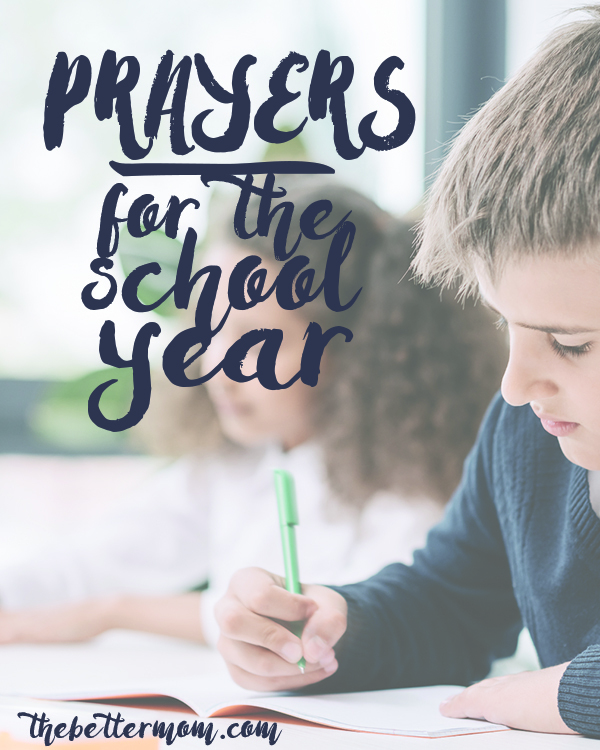 Click HERE to find these prayers on TheBetterMom.com.